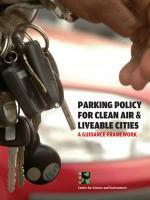 Centre for Science and Environment organized half a day round table workshop on ‘Draft Parking Policy 2017’ that the Department of Transport, Government of Delhi has issued recently. //If using image buttons as controls, Set image buttons' image preload here true //(use false for no preloading and for when using no image buttons as controls): var preload_ctrl_images=true; //And configure the image buttons' images here: var previmg='left.gif'; var stopimg='stop.gif'; var playimg='play.gif'; var nextimg='right.gif'; var slides=; //FIRST SLIDESHOW //configure the below images and descriptions to your own. 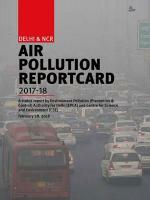 After Delhi implemented its first generation air pollution control measures during the early part of the last decade, there was an improvement in air quality. 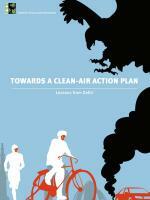 But this gain in air quality was soon lost. In 2016, Delhi experienced one of its worst Diwali smog episodes in many years. Several factors converged to create the dirty haze that enveloped the capital region with the onset of winter. Let’s share cars; take a bus or metro; cycle or walk Early this month, I was in the Delhi High Court, where a battery of lawyers had filed separate petitions against the odd-even scheme of the Delhi government. This is a scheme to ration car usage so that in the critically polluted winter months only half the vehicles are on the road. Their arguments were that the scheme had led to enormous inconvenience and worse, daily pollution data showed no impact on air quality. Cars, they said, were not responsible for pollution.